Not all of us can afford the high sticker prices of new, high-line cars that grace the covers of automotive magazines everywhere. Others are just looking for a reasonable daily driver to get to A to B with no bells and whistles. Whichever camp you are in, finding a vehicle within a tight budget can be a challenge when you don’t know where to start. We’re here to help with that search to make sure you find a well-cared for vehicle that will serve its purpose with minimal trouble. Firstly, you shouldn’t be afraid of vehicles with higher mileage, so long as you do your research and have the history of the vehicle. If you are looking at Car A that was driven by a little old lady for 100k miles and Car B that was driven by a teenager with a heavy right foot for 50k miles, you can guess which we’d pick. The key is finding vehicles that have proven to be reliable, durable and inexpensive to own, which can be tricky. There are certain manufacturers that have always been associated with longevity and quality. Toyota and Honda are consistently rated at the top (as well as Acura and Lexus of course), and some other brands such as Subaru are slowly making their way up the list. If you are looking at higher mileage vehicles, your focus should be on brands such as these that will run for many more trouble-free miles. Secondly, check for rust. 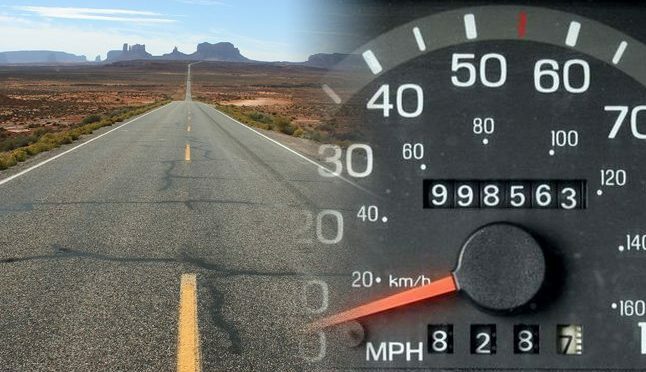 A higher mileage car has generally been exposed to more inclement weather and as a result, has a higher chance of being affected by rust (especially here in the Northeast. As with any used vehicle, have it looked over by a trusted mechanic but pay close attention to rust on the underbody as well as under the paint. Rust is not only something that is VERY expensive to fix, but is also something that keeps eating away at your car unless you fix it right away. Higher mileage cars are more likely to have rust that has eaten away at critical components, so it is always something to keep an eye on. A complete service history is always a MUST! Knowing how the vehicle has been treated is crucial to knowing how many more miles can be expected out of it. If you are buying a vehicle with over 100k miles, be sure that the timing belt or chain (if applicable) has been changed as most manufacturers usually recommend this at or around 100k miles. Additionally, make sure you look up the proper services that should have been performed (most can be found online) and check that with the history of the vehicle and the CarFax report. Depending on the car and mileage, a lot of vehicles will be needing new brakes or suspension once they get a bit over 100k miles, and those are expensive maintenance items. Other than that, just pay close attention to how the vehicle drives and behaves on the road. If it checks all the boxes and feels solid when you drive it, there’s a good chance it has been well maintained and is ready to serve its next owner loyally!